When you hear the word “Auction” what comes to mind? To many, the term auction brings to mind Ebay. Recently, I asked a vendor of ours if she had ever been to an auction and she responded, “No, but my son and husband love to watch the exotic car auctions on cable tv.” And there is always the iconic image of the distressed farm sales of the Great Depression (or even recent years for that matter). In reality, live auctions go on daily, in many locations, throughout the country. A quick search at Proxibid.com, which provides live auction services to Auction industry, shows well over 400 auctions scheduled in coming weeks and 3 occurring as I write this, ranging from a rare coin auction in Lawton, Missouri, to a discontinued merchandise auction in Fresno, California to a jewelery, antique and collectible auction in Kappa, Hawaii. 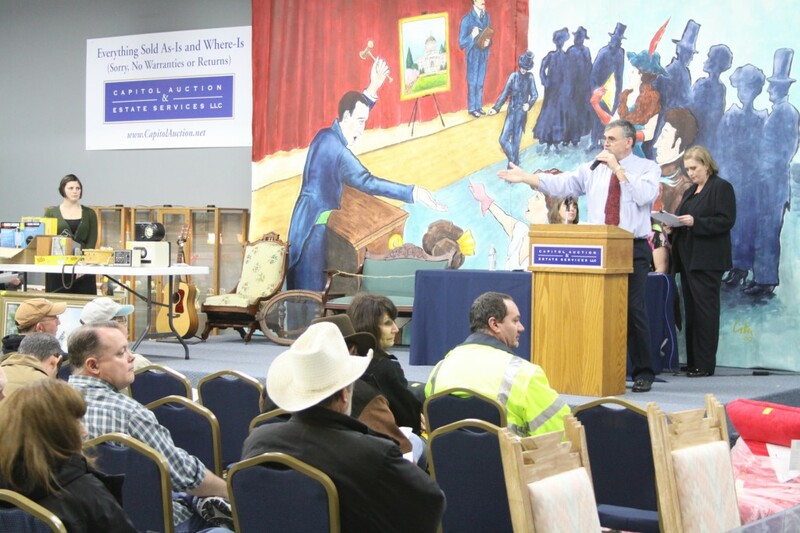 At our new auction house, Capitol Auction – Salem, Oregon, we are always coming across people, both young and old, who have never been to an auction. Most are interested, but many are afraid they may end up buying something they don’t need (well, that’s kind of the idea isn’t it?). As an auctioneer, I always remind people (and potential customers) that auctions serve many useful purposes. One important element is the auction process allows the seller to almost instantly convert his (or her) goods to cash. Once the auction is set, the seller knows when they will realize money for their goods. Secondly, it often allows buyers to purchase goods at far less than retail. Additionally, let’s not forget that auctions may well have been one of the first “Green” industries, allowing us to recycle and reuse consumer goods without expending natural resources. And lets not forget another reason people go to auctions is the entertainment factor. Auctions are quite often a lot of fun.